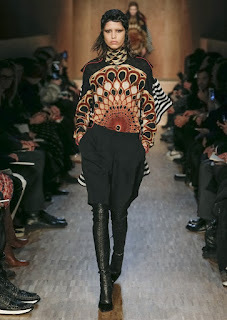 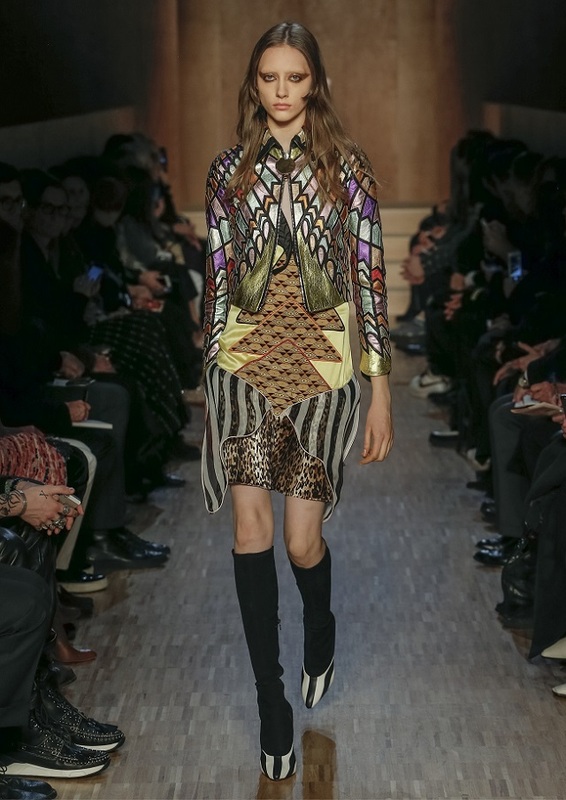 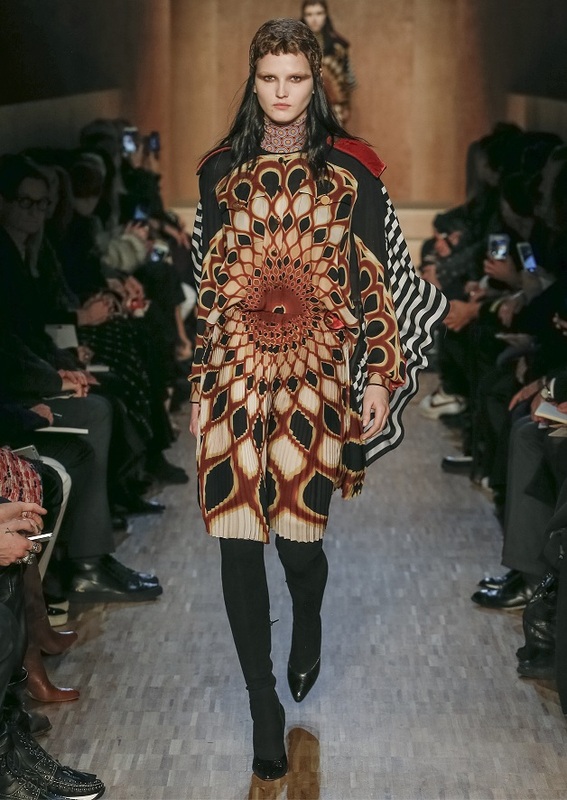 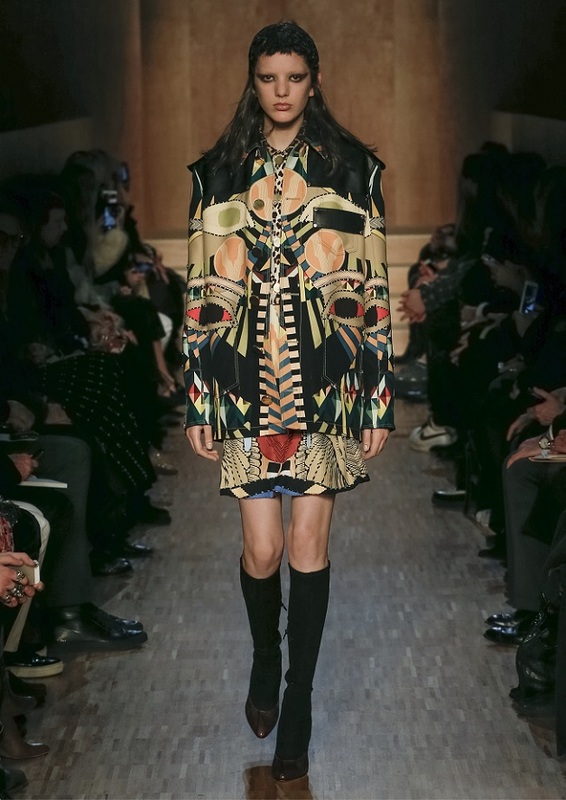 GIVENCHY By Riccardo Tisci AW2016/17 women ready to wear collection inspiration comes from the Egyptian culture, the world of Pop and psychedelic music embody the colors, illuminated by the incorporation of Riccardo’s Tisci’s signature black in a bold Givenchy women's collection. 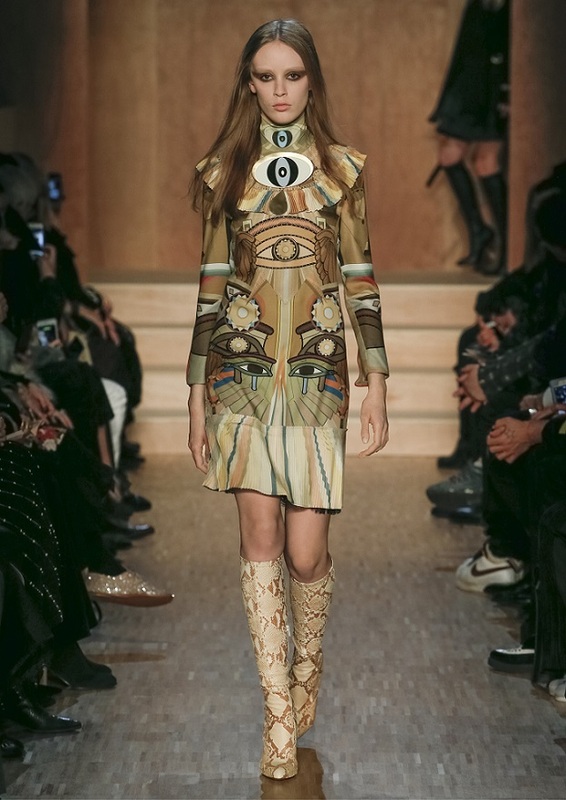 The romance and simplicity of last season's lingerie and tailoring for psychedelia and mysticism. 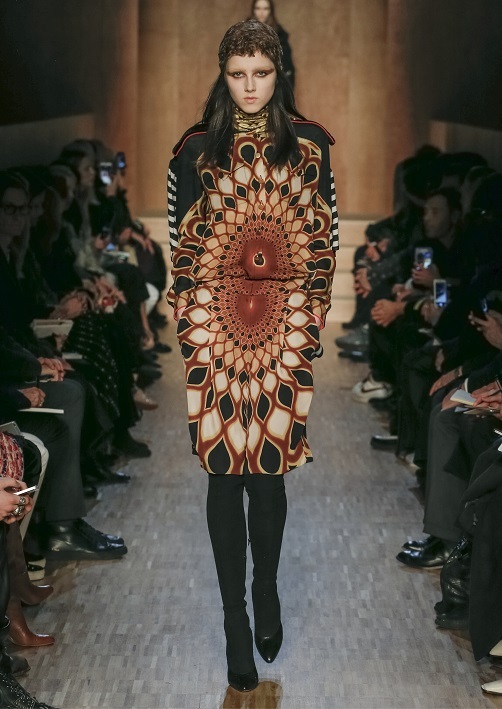 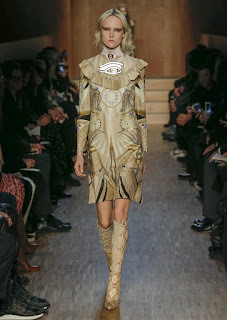 Mandalas decorated blouses and dresses with exposed backs and the Eye of Horus and other Egyptian iconography appeared on engineered print frocks. 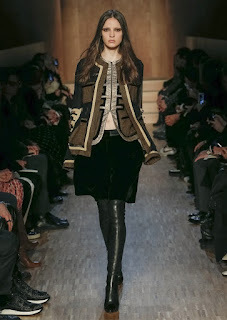 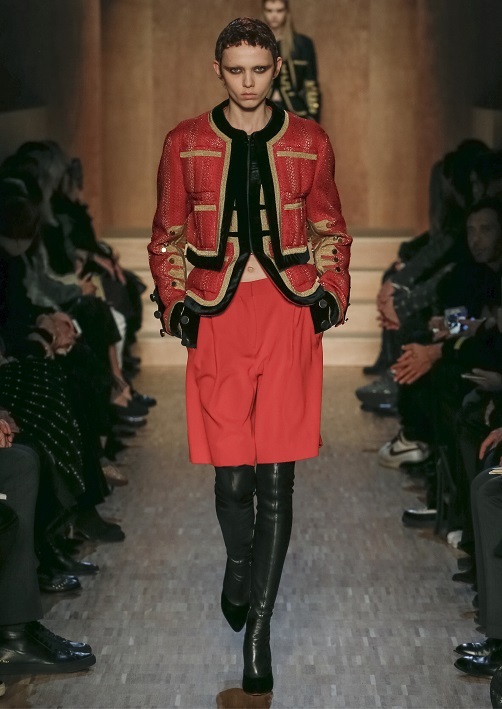 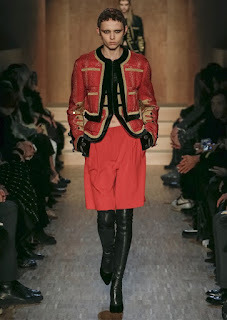 Military tailoring, pairing generously cut officer's coats and jackets not with shorts and knee boots. 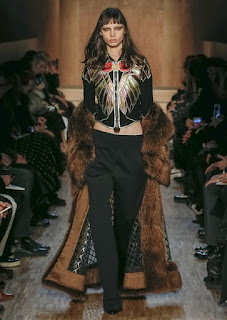 Leopard spots and python skin are seen as well as little metallic leather jackets pieced together to look like bird wings. 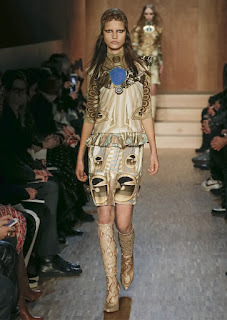 Less a new beginning that a reworking of many of the signatures on which Tisci rose to fame.